I am re-running my feature on The Judas Kiss - which I saw at the Hampstead - because it has now transferred to the West End. It opened last night and will play a limited 13 week run at the Duke of York's until 6 April 2013. 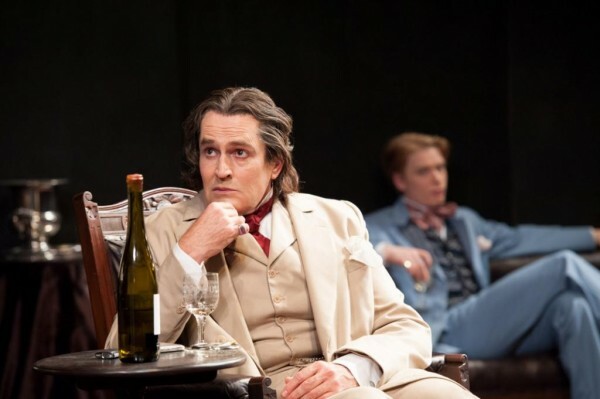 Rupert Everett plays Oscar Wilde with Freddie Fox as Lord Alfred Douglas in David Hare's The Judas Kiss – a compelling drama about the power of all-consuming love and the cruelty of betrayal. 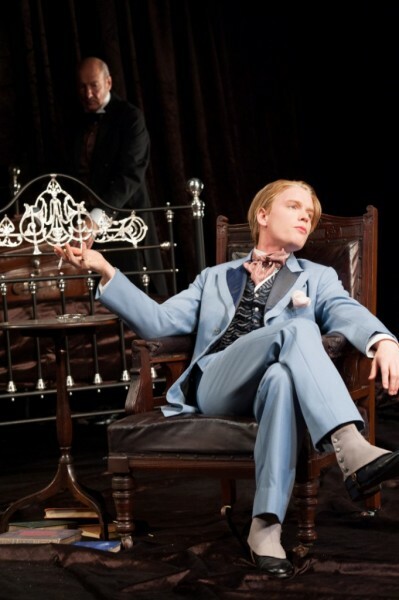 It is 1895 and OSCAR WILDE’s masterpiece, The Importance of Being Earnest, is playing in the West End after a triumphant premiere, but already the wheels are in motion which will lead to his imprisonment, downfall and vilification. A brilliant play - very powerful and moving. Exceptional acting. That combination completely broke my heart in two. This is a real-life story that is more tragic and contains more pain than a Shakespearean tragedy. Being imprisoned and denied liberty was tough enough, but Wilde's enforced exile away from his children who were so dear to him, and the London he loved with such a passion, combined with his one true love abandoning him in his hour of greatest need, completely broke him. How could we as a nation and a people do this to one of our greatest playwrights? I am at a loss.